Kathryn is a fourth year PULSe student in the Biotechnology Training Group working in Dr. Sarah Calve’s lab in the Department of Biomedical Engineering. Her research focuses on the biochemical and biomechanical role of the extracellular matrix during forelimb development in mice. As President she strives to provide leadership and support to the PULSe GSO and community. Kathryn is a born and raised Minnesotan and die-hard Vikings football fan. In her spare time, she loves to cook, play board games, participate in local trivia nights, and travel to new places. Ethan is a fourth year PULSe student in the Biotechnology Training Group working in Dr. Kevin Solomon’s lab in the Department of Agricultural & Biological Engineering. The microbiome and synthetic biology are two of his favorite research topics. His project is focused on surveying the gut mycobiome of livestock in search of natural products, and then using synthetic biology approaches to realize their full potential. He enjoys sports, videography, traveling, building things in, on, and around his house, and relaxing with his wife and dog. He is eager to help students immerse themselves in the PULSe program and the campus, so do not hesitate to reach out to him with any concerns you may have! Ken is a second year PULSe student in the immunology and infectious diseases training group working in Dr. Herman Sintim’s lab in the drug discovery facility. His research is focused on discovering and testing new compounds for cancer and infectious diseases; mapping previously uncharted pathways and mechanisms of drug action for diseases caused by mostly drug resistant organisms and the chemical biology and immunology behind both bacteria action and body response to these diseases. 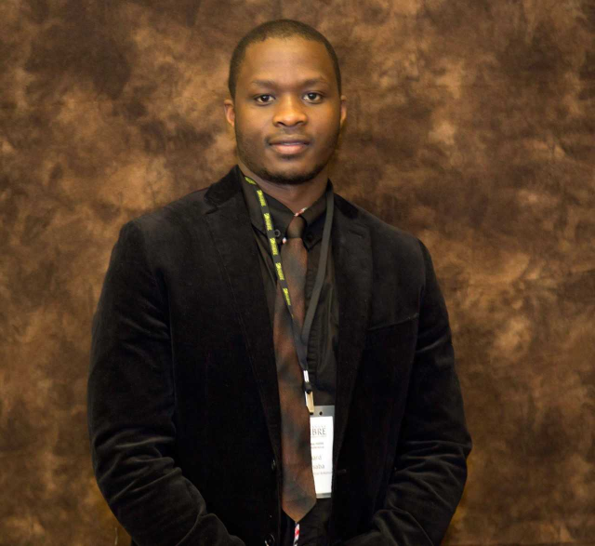 He was trained as a physician in Nigeria and seeks scientific solutions that would have a global impact in the field of medicine. He loves adventures (scientific and social!) and in his spare time he loves to travel , meet new friends and watch movies. If you are ever bored and need a friend, Ken would be there for you. Swimming or a game of tennis calms his nerves. Soo Jung is a second year PULSe student in the Computational and Systems Biology Training Group, working in Dr. Markus Lill's lab in the Department of Medicinal Chemistry and Molecular Pharmacology. Her field of interest is computer-aided drug discovery, and her research focuses on the application of deep learning for simulating flexible enzyme-substrate interaction. She has lived previously in Houston, Seoul, and Singapore, and her hobbies are eating and sleeping. Her aim as a member of the GSO is to increase communication and a sense of community in PULSe. Janiel is a second year PULSe student in the Neuroscience Training Group, working in Dr. Jennifer Freeman’s lab in the School of Health Sciences. Moving to a new location and starting a PhD program is a daunting task that can become even more challenging without social support. PULSe is a program full of great students, her goal as the student activities coordinator is to create social events to help facilitate a sense of community and for students to meet and get to know each other! 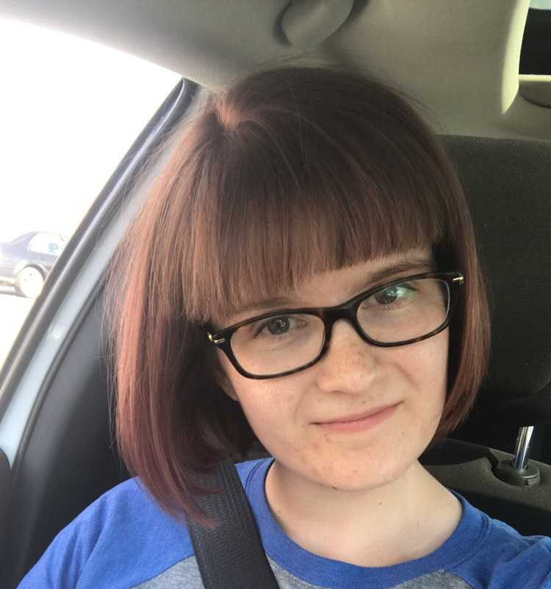 During her time she hopes to facilitate events on campus like movie nights as well as off-campus adventures like backpacking in a state park. She looks forward to working with the PULSe community during this school year! Katherine is a fourth-year PULSe student in the Chemical Biology training group and a member of Dr. Hilkka Kenttämaa's lab in the Chemistry Department. Her research is on two main projects, one focuses on the composition and related function of compounds in aviation fuels and another involves creating an efficient oil recovery mechanism to remove oil bonded to rock. As Coordinator for Science in Schools, she hopes to promote professional development and support creating new educational experiments. She will also continue to work to expand the program to involve other areas of science such as MCMP and ESE to help cultivate scientific interest of many subjects in children. Feel free to contact her with any questions you have about PULSe, Science in School, or her research. Carlos is a third year PULSe student in the Immunology and Infectious Diseases training group and a member of Dr. Richard Kuhn’s lab in the Department of Biological Sciences. His research focuses on arboviruses, specifically those that are transmitted by mosquitoes. Outside of lab, Carlos enjoys running, rock climbing, movies and trying new food. As Professional and Development Chair, he plans to promote professional development and introduce diverse career paths to the PULSe student body. Feel free to contact him with any questions you have about PULSe or his research. Sam is a second-year PULSe student in the Molecular Signaling and Cancer Biology training group working in Dr. Chang-Deng Hu's lab in the Department of Medicinal Chemistry and Molecular Pharmacology. Her research focuses on the molecular mechanisms behind therapy-induced neuroendocrine differentiation in advanced prostate cancer. 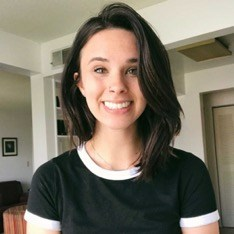 As the First-Year Mentoring Chair, she hopes to foster meaningful connections for incoming students that could lead to valuable connections in their future careers by planning events and guiding discussions between the mentor-mentee pairs. Peter is a second year PULSe student in the Biotechnology training group. Upon joining Dr. Tamara Kinzer-Ursem’s lab in Biomedical Engineering, his research emphasizes the use of biomedical devices to probe and manipulate sensitive biological systems. The current acceptance of wearible technology, along with the ever-growing repertoire of methods for interacting with biological system parameters, prompts the use of novel data-mining techniques to solve fundamental biological questions. As Diversity and Inclusion Chair he hopes to help promote a cohesive PULSe community. Additionally, he enjoys the great outdoors – camping, hiking, and climbing – as well as weekly "Geeks that Drink" trivia competitions at 6th Street Dive Bar. 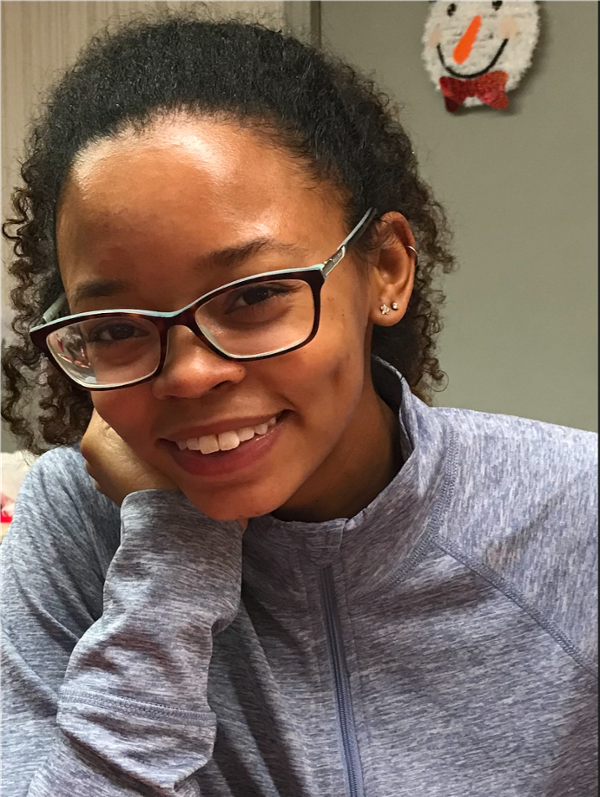 Arryn is a second year PULSe student in the Integrative Neuroscience Training Group, working under Dr. Richard van Rijn in the Medicinal Chemistry and Molecular Pharmacology Department. Her research focuses on understanding the mechanism behind drug induced seizures, with other projects analyzing the relationship between alcohol use disorders and other disease states. Outside of the lab, Arryn enjoys baking, reading, crafting and dancing of all kinds! As Public Relations Chair, she hopes to help maintain a strong relationship between PULSe GSO officers and PULSe students, as well as keep the PULSe GSO social media on and poppin’! Marianne is a third year student studying the proteasome and how it impacts the ability of cells to alert the immune system of viral infections. Many viruses, including HIV, attempt to prevent the proteasome from degrading viral proteins to antigenic peptides. This hinders display of viral peptides on the cell surface and prevents the immune system from recognizing an infection. She is currently working to understand how molecules that stimulate or inhibit the proteasome affect antigenic protein display on the cell surface. As senator, Marianne is looking forward to updating the PULSe community on ongoing campus events and changes in university policies that impact our students. She is committed to giving PULSe a voice and voting for policy that will not only benefit our students, but graduate students throughout the university! Edouard is a fourth-year PhD student in Chemical Biology training group under the supervision of Prof. Hilkka Kenttämaa. His research is focused on development of novel mass spectrometric methodology for analysis of complex mixtures, such as crude oil and drug metabolites. Outside the lab, Edouard enjoys playing and watching soccer. As the seminar chair, his goal is to make sure that the student-selected speaker would have a great experience at Purdue and the students benefit from his/her seminar.